Camp Woodmen 2017 was a big success! The 58 campers and 53 staff members enjoyed the usual variety of activities in beautiful Alabama. Campers posing for a photo at Camp Woodmen. 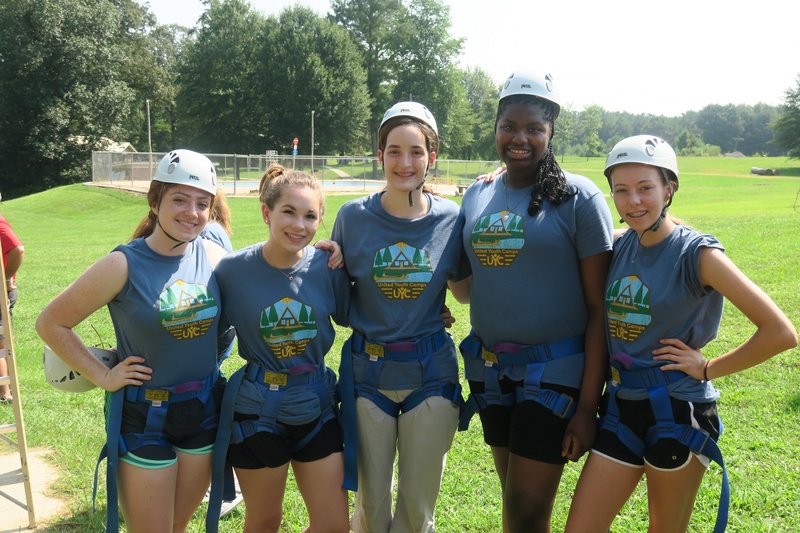 The activities consisted of archery, basketball, campus improvement, dance, dorm christian living, high ropes, riflery, softball, speedaway/ultimate Frisbee, team challenge, volleyball and waterslide. The theme for camp was “Building Your Relationship With God.” Everyone was reminded of the importance of growing closer to God and answering the calling we are given. Each morning, everyone gathered together as a group for a Christian living class that corresponded with the day’s theme. The individual dorm Christian living classes built on this theme even more with the campers on how to improve in prayer and Bible study. It was a wonderful theme for both staff and campers, as we all want to build our relationship with our heavenly Father. Thursday night was the fun show, where the three boy dorms and three girl dorms had a blast acting out their clever skit ideas for the rest of the campers and staff. On Friday evening, the dorms were given a story in the Bible, and they compiled the most prevalent lessons from them to share with the rest of the camp. It was a nice way to start the Sabbath. Saturday night concluded with the end-of-camp dance. This was the second year we had our own staff working and cooking in the kitchen, and they did an awesome job once again! Everyone was impressed with the special steak and chicken dinner (not to mention the exquisite dinner rolls and mashed potatoes) that was provided on Friday night. Each night the camp looked forward to a homemade special dessert. Camp Woodmen was an encouraging week, and the campers did a great job building each other up and staying in the Zone. We look forward to camp next year!